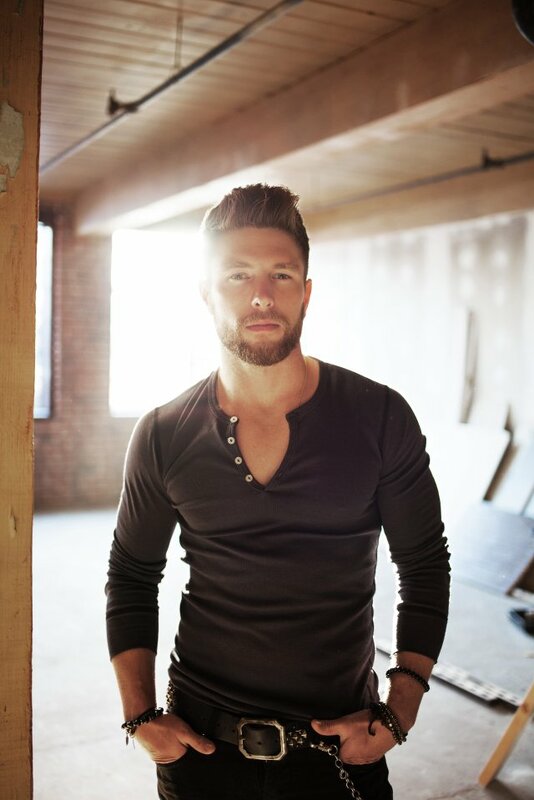 When it comes to rising stars in Country music, one name keeps cropping up time and time again – Chris Lane. The singer-songwriter is experiencing a breakthrough with his debut single Fix, the first single from his EP of the same name, and he’s quickly rising up the charts in the US. With an album on the way later this year, Chris is set to become one of the biggest Country new stars in the genre. I caught up with Chris to talk about the huge success of Fix, find out what stage the album is at, and to discuss his plans to come over to the UK. A week and a half later Fix came along. I was a little intimidated before I recorded the song because I was messing around with the whole falsetto and I didn’t know if I could get in the booth and nail it. It was one of those songs I really took to once I got in the vocal booth. Everyone was happy with the way it turned out and we decided to scrap all of the other songs I’d been working on, start over and go in a new direction. This song just happened to be my debut single and never did I imagine during the process of all that never did I imagine I’d have a top 25 (hit). All this other really cool stuff is happening and I’m just really excited about it all. Do you have plans to bring any more singles out from the Fix EP? We’re just focusing on this track at the moment. We’ll see what happens but there’ll definitely be other singles from this EP. I’ll have a full record come out this year hopefully maybe late summer, somewhere around that time. I’m currently working on it right now. I’m just very excited about the songs that I’m recording and the new direction I’m going in. Would you say what that the sound of the EP is indicative of the sound the album is going in at the moment? Yeah absolutely! Several of the other songs keep that same continuity with the falsetto but not ever song is going to have that. I’m one of these guys that loves all kinds of music but really gravitate towards music that really makes me want to move and that’s the music I wanted to record. I have a few…I guess you can call them ballads…that will go on there. I’m not much of a guy who’s really into slow songs but these couple of songs I’m recording I really love a lot and it’ll be a change up from the EP. There’s a real trend in Country music right now to mix up genres. What kind of musical influences did you have when you were growing up? Growing up I listened to all kinds of music but I was really into Garth Brooks, George Strait, Alan Jackson, Kenny Chesney, Tim McGraw…all of those guys. I was obsessed with them growing up. I also listened to Usher, Justin Timberlake and the Backstreet boys; I grew up on that as well. I feel like it definitely played into the music I recorded and we found a way to infuse all of the stuff that I love. Back in February you made your debut at the Grand Ole Opry. What was that experience like? It was very nerve-wracking. That walk from the side of the stage once they announced my name out on to the stage…it was an amazing feeling. 5 or 6 years ago I was playing music and helping my dad do landscaping for a living. Now here I am walking on the stage at the Grand Ole Opry. Years before that I went to Nashville just as a tourist and one of the things I did was a tour of the Opry, standing in that circle and not knowing in that moment that a couple of years later I’d be standing on the stage and singing for real my debut single. It’s pretty crazy that actually happened. I was pumped but at the same time very nervous (laughs). Surely that’s a bucketlist thing right? Yeah! Certainly! All the greats have done it. Just in the dressing room alone looking up at the wall with all the pictures of everybody that’s played the Opry…it’s pretty crazy to say now that I’ve done that. Over the past couple of years you’ve packed in around 500 shows. What is it like for you out on the road? I was very when I first moved to town. Before I even moved to Nashville I was doing it all in North Carolina myself where I was booking my own shows, writing my own music and recording it all; doing every little aspect myself. I never turned down a show. Whatever show popped up I would take it and I was always lucky I had guys there to play them. When I moved to town (Nashville) Florida Georgia Line took me under their wing and they took me out on some big tours that never in a million years did I think I would be on so early on in my career with no music out. I have them to thank for a lot of those shows. Thomas Rhett and Brett Eldredge, and all of these other guys that choose to take me out and let me play shows with them certainly helped me out. To be able to stand on the side of the stage every single night and watch them play… Dustin Lynch I was just out on tour with him and he’s a great guy that I was able to learn lot from every single night. I’m certainly very lucky to be out on the road with all those guys. I’m very excited to be going out with Rascal Flatts this summer; that’s something I’m really looking forward to. I grew up on their music and I was always the guy at the amphitheatre watching their concerts. Here I am going to be in the same venues on the same bill as them. It’s a dream come true. As far as being out on the road I just love getting to meet new people every single night, that’s one of my favourite things. After the show I’ll do a meet and greet for anyone that wants to come back there and I just love meeting people (laughs). What would you say a typical Chris Lane live performance is like? My whole deal is that I want to be as energetic as possible. When I’m choosing songs, I’m really thinking about them; will this song translate live and will it keep the energy up? My goal is to have as high energy as possible. I also love throwing in a few cover songs that people know and can sing along to, and maybe a few songs that take them back. I have a lot of fun with that as well as playing my own stuff. I see you’ve been picking up some big celebrity fans too with stars such as Pretty Little Liars’ Lucy Hale posting about you on her Instagram. What’s it like getting support from people like that? Hell yeah! It’s great. All of the artists that I look up to have tweeted and said they love the song. When I see them in passing they’re like ‘man, I love your song!’ It feels so good to hear people say that especially people that you look up to. Lucy Hale is great. I met her at one of my L.A. shows and she seemed to really like the show. That was really exciting for me because I’m a fan of hers. I was able to hang out with her a little bit and we’ve kept in touch and become friends. It’s just cool making those connections and friendships. We talked about your falsetto earlier. I think it’s your voice that really makes you stand out. When did you first realise you could sing? That’s a great question. I did not grow up singing my whole life. No one in my family is musical (laughs), not one person that I know of. I grew up playing football and baseball. I played college baseball and just assumed I’d just move on after college and do that. I had several knee surgeries that hurt my chances so during my downtime after surgeries I started picking the guitar and started trying to learn. Once I graduated college I moved back home and started helping my dad do landscaping. It was that moment I really started learning how to play the guitar. The only reason I wanted to play the guitar is because I’d been to several Keith Urban concerts and became so inspired just to want to learn to play the guitar. At that point I wasn’t even thinking about singing. I loved singing along to radio and hearing people on the radio I thought ‘man I’m never going to be that good’. Once I learned how to play the guitar I started to learn to sing and play at the same time, thought it was a good idea to start a covers band in North Carolina where I was living, and it’s pretty wild how things happened from there. Never in a million years did I think any of this would ever happen (laughs). It seems like you made the right choice! With over 7 million plays on Spotify already…. It’s very exciting. Every morning I wake up and check Twitter, Instagram, Facebook and Snapchat, and I love seeing people post videos and pictures of them hearing Fix on the radio or maybe they’re listening to it on Spotify and saying it’s their jam. I love seeing that stuff. It’s one of my highlights. People that get really excited about it, gets me excited. Do you have any plans to bring your music over to the UK and Ireland? Yes absolutely. I would love to. The funny thing is that I used to love this group from Ireland, it would have been when I was in middle school, called Westlife (laughs). I used to love their music. I guess I never dreamed of going over there because I didn’t think it was possible but hopefully getting a record out it’ll become possible. I would love to do that. Country music is really gaining popularity here in the UK, thanks in part to the annual C2C: Country to Country festival we have. Maybe you could be a part of it next year? Yeah! Absolutely. I hope that happens (laughs). What else do you have planned for the rest of the year? Other than getting the full record out and touring with Rascal Flatts, we’ll see what happens after that. Maybe I’ll end up doing my first little headline tour. I’m not sure yet on that. Right now my main focus is just seeing what happens with Fix, getting my full record out there, and seeing what happens on the Rascal Flatts tour making that as good as possible. We’ll see what happens from there!